AMMONNEWS - The Kuwaiti Embassy in Jordan is closely following up on the recent death of a Kuwaiti national in Amman, Ambassador Azeez Al-Daihani said on Saturday. "The embassy is in close contact with Jordanian security authorities," the ambassador said in a statement, adding that the embassy was informed that a Kuwaiti national was found dead in an under-construction building in Amman. 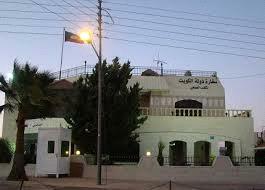 He quoted Jordanian Minister of Interior Samir Al- Mobaideen as confirming that the incidentwas under investigations. incident, according to the statement.